My sister Anne and I talk about her move to LA, looking for work, and Dave Kerpen’s book, Likeable Social Media. Anne will also meet up with me next week in Shreveport, Louisiana for the Phenom Film Festival. 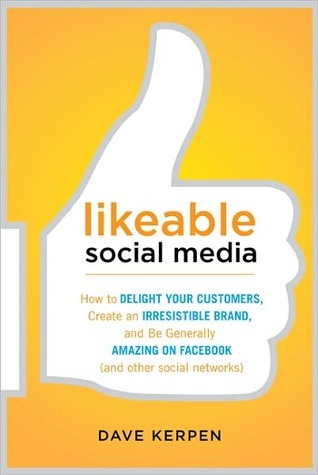 We talk pitching projects in Hollywood, and we consider Dave Kerpen’s book, Likeable Social Media. Oh yeah, there’s a funny bacon video from one of my favorite comedians. When Anne tells me she’s not sure her personality is suited to the pitch projects in L.A., I remember the time when I completed an Outdoor Wilderness course through Outward Bound and they talked about people’s comfort zone, stretch zone, and panic zone. The idea was that if you could live in your stretch zone and make it your comfort zone, you could gradually face situations which cause you to be fearful. Back then, we were talking about sleeping outside without a tent and scaling rock walls, but I think it’s a notion that can be applied to public speaking and trying to meet new people. My sister is a lady who has jumped out of airplanes. I think she can meet people interested in projects such as Love on the Big Screen. You can also listen to the podcast through iTunes. Go to the store and type in “Prof. Torg Read, Write, and Teach Digital Book Club.” It would help us if you’d rate the podcast or even leave a comment. Chris Sparling, screenwriter. We talk about Chris’s writing of Buried as a low-budget script he could star in himself. Do you ever consult social media to make purchasing decisions? What sorts of pages have you “liked”? Do you use Four Square, Yelp, or other kinds of social media beyond Facebook? Love to hear your answers via a comment. This entry was posted in Torg Life and tagged Apple customer service, Blacklist scripts, Chris Sparling, customer service, Elm Street Books, Facebook, Foursquare, good book, Hollywood agent, Hollywood Economist, Likeable Media, Los Angeles, moving to Los Angeles, Outward Bound, Phenom Film Festival, project manager, screenwriting, scripts, St. John's University, technology, The Guardian, traffic, unemployment. Bookmark the permalink.